This environment was designed as a Monk training ground with some evil undertones. The students of this school would not necessarily go on to do good. 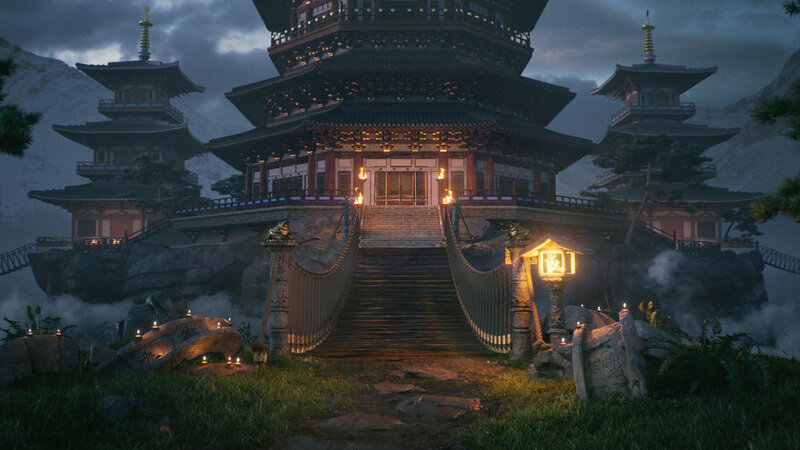 I used it as the demo project for my Gnomon Workshop instructional video series on V-Ray. You can find it here.